By the end of this post, you will know enough to be able to come up with a great idea for what your website will be about and register a good domain name with a web host. You’ll even install a WordPress website (that’s actually the easy part – I even have a video showing you how). If you’re reading this post from the link on my facebook page, please click this link now or the shortcuts in this article won’t work for you. This is just how to start, but it’s how to start the correct way. You’ll still have a lot of work to do once you get your website installed. This post will save you many days of research and probably many weeks of trying to figure out what kind of website you want. I wish I would have had this post to read when I started my first website. This is a long post but it should give you everything you need to know to start off right. For those like me who are diligent about research, I’ve included additional offline and online resources to help even further. If you have ADD and want the condensed version, just skip ahead with this link to the Make-a-list section and start from there. You’ll learn enough from that section on down to get you started. I even repeated the index at the end in case you want to dive into part of the article to go deeper into a subject if you skipped everything. 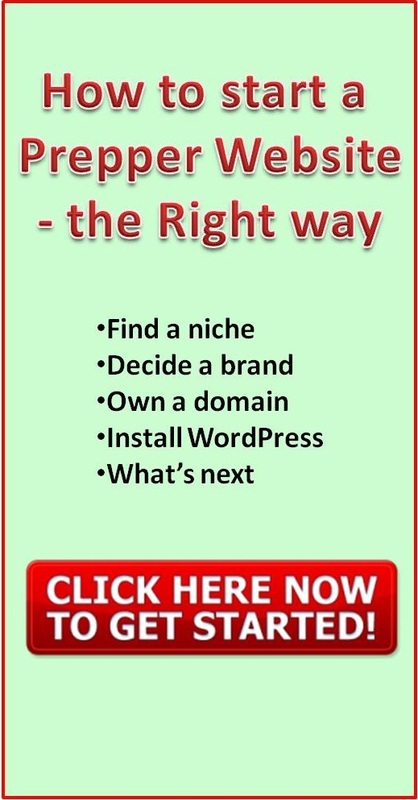 … but if you really want to get a good grasp of how to find your blogging niche before you get a domain name and start blogging, read on you future blogger you, read on. I looked at my google analytics account to see if anyone clicked on it and there were a lot more than I had expected. Just to be sure, I posted a question on the page in the middle of the night asking if anyone were interested. I was thinking at the time that it might be too far off my message to do articles like making money online so I just wanted to be sure. I got a LOT more response than I was expecting, and all of it was positive. Not only did I get quite a few more comments on that facebook post than I expected, I started getting flooded with chat messages and emails. MUCH more than I’ve ever gotten with any other post. So I sat down and over several beers, thought about how I might do this. Should I post here on GS and possibly lose readers because I’m not posting about prepping or survival? Should I start posting on my infant site Man Cave Zen instead and just let people know the posts are there? Should I start ANOTHER website? Well, starting another website is a LOT of work. It’s actually what you’re considering doing, LOL. Posting on MCZ would kind of be on-topic because I’ve written about similar things there already but it’s not really specifically-designed for making money online posts. Then I had an epiphany: “DUH!” I said to myself. “Being financially prepared is a BIG part of prepping. It’s actually something I should have been spending more time writing about anyway.” Then I finished my beer and fell asleep to a nice, happy dream about being stuck in some survival situation during a hurricane with Emma Watson. It was a good night. And so that brings us to now. This is the first post of many, and the most important one to get started. I’m going to touch on a bunch of different things – all important in the long run – but you just need a brief exposure to them to get you started. I’ll go into a lot of them on their own in future posts. I make my living as a full-time blogger, and I’m doing fairly well at it. I live in a nice suburban home, I have no problem paying my bills, I have perfect credit, and I have nice things. I’m also making more and more money every month. I also know you guys fairly well by now (my current readers and the survival/prepping community in general), so I think I can speak in your language and come up with solutions for people like you that no other blog about making money online can do. But as you’ll find out in these posts, you have to write what people want to read, not just what you want to write. So I wanted to find out. I’ve started probably a dozen blogs over the years and they all failed to make any money until Graywolf Survival. I even ran a small web-hosting business for a while. I know a LOT about what doesn’t work. I also know several things that do work. I’m going to write SEVERAL future articles that will help you break into making money on the web. There are many ways to make money online but I’m going to primarily focus on making money with a blog so you can have additional money to make your family more financially prepared in case of a job loss etc or so you have extra cash to invest in training or prepping equipment. Once you’re done with this article, you’ll have a basic WordPress website and an idea of what you want to do with it. My site now has enough search engine authority and I’m getting pretty good with SEO (Search Engine Optimization) now so there are going to be a lot of you who come here looking for information on niche markets, earning an income online or even affiliate income that have never heard of me – or cared about survival skills, or prepping. No worries. You’ll get a lot out of this article. First thing you need to know is that I write very in-depth articles (which is one of the reasons I rank so well on google for being so new, especially after google’s hummingbird updates). This means that people will actually learn something when they read what I write and they’re more likely to share it with friends, either directly or through their social media accounts, which helps the site to grow. It also means that I’ll be getting some visitors to the site that can’t hold their attention longer than 400 words. That’s ok, you aren’t the type of person who can make money on the internet anyway. There’s a big difference between writing articles about doing something and writing articles on how to do something. This particular post will be long in general because I want to give a good overview – enough that you could actually sit down and get a domain name and a wordpress blog today if you wanted to. There are several parts to this post though that I’ll be breaking down into more detail later. It was a compromise – I needed to give people something that they could get started today with but not write a novel either. Second thing you need to know is that this information is going to pertain to anyone who wants to make money blogging. Doesn’t matter if your goal is to write about softball, crochet, your love of larping, or ham radio. I’m writing this blog for preppers because they want to be self-sufficient, have enough money to get by when unexpected things happen, and some want to be able to work where there are no jobs. Sound like you? Then read on, my new friend; read on. First, I’m going to give you some background on what to consider about choosing what your blog is going to be about. Then you’ll figure out a great domain name and register it as your own (that you can also use for your own email addresses), and install a basic WordPress website that you can start filling in. Making money online is a LOT of work, and takes a LOT of research to do it correctly, but I’m here to tell you, it can be done – and you can do it. Here’s the index for this post. You can click on any chapter you want to take you there. At the end of each section will be a link to take you back here to the index if you want. If you’re reading this from my facebook page, please click this link or the index won’t work for you. What do you want out of your blog? What pond do you want to be the big fish in? What kind of need can you fill? How can you do it differently – Branding 101? So where should you start right now? Research blogging, branding, and making money online. Make a list <- just go here if it gets a bit overwhelming. You can always come back. To be more accurate when it comes to making a living on the web, a niche is a subset of a group or a topic. It’s a subset that enough people are interested in that you have a large enough audience to be interested but focused enough that you’re not just another site out there. Bikers would be a group or a topic but hippy nudist bikers would be a niche. Let that one sink into your head. My particular niche is the prepping and survival niche. Sean Ogle’s niche is making a living wherever you want to (which is a great resource and the site that got me started in doing all this). You have to find yourself a niche. A niche that you should make a website about has to fit several factors all at once. This is the hard part to get started. As with writing an article, or planning any project, you need to have an idea of the scope of your blog niche. The scope is essentially just how big of a topic is it that your site is about. If your scope is too wide, it won’t have any focus for you to get people interested in it or to make you stand out. If it’s too focused, you won’t have enough people interested in it. For example, You could start a blog about saving the earth by eliminating humans through abstinence but how many people would want to read it? Ok, maybe they’d want to see just WTF your site’s about but seriously, that’s not a big audience. On the other hand, a site ‘about people’ is WAY too generic. What about people? What kinds of people? What is your site about, really? The more targeted your audience is to your message and your product, the more likely they’ll like and share what you write – and the more likely they’ll buy what’s in your niche. The scope of my website is no-nonsense information about prepping and survival. I don’t write about Harleys unless they fall into that scope, such as is the case with my Desert Warrior Harley that has its own survival and medical kits, communications, and weapons. Whatever you write on your blog should stay within the message of it, which includes the scope you’ve chosen. I was looking to find a job where I could do things I wanted to do. I wanted to spend more time outdoors. I also wanted a job that I could do from anywhere, because my bucket list and a lot about travel in it. I also wanted to become self-sufficient, live off the grid and be able to have an income even if I spent months away from home. I wanted to be an author and write books about survival and prepping, and especially fiction about the same things. I also realized that I didn’t have an audience because I’d never written a book and I didn’t have any credibility with anyone who had never served with me. After a few days, I realized that blogging about survival and prepping would give me a LOT about what I needed. It would let me go through the motions of breaking down survival and prepping skills that I’d learned over the years. It would get me into the habit of writing and teach me how to connect with an audience, and it would get my name out there to people who would want to read books that I would write later. Writing a blog is a LOT of work, and a LOT of time. You have to be interested enough in it to spend thousands of hours before you make any profit. Read that again THOUSANDS OF HOURS. If you don’t really like what you’re doing, it’s gonna be hard to sit down every day, or almost every day, and do what you need to do. Blogging isn’t just writing. I spend most of my blogging time not writing. If you don’t really like it, you won’t stick with it. Here’s one that a lot of people get hung up on. I’m very lucky that I have a lot of experience in what I write about. I’ve lived through a lot of the crap that people would call SHTF situations when I worked for the government overseas in embassies and in combat zones. I also know a LOT about electronics by working for many years as an RF/digital/analog troubleshooting technician and even ran a large aerospace computer factory for several years. Luckily for me, I sat down and thought about this when I decided to write. If you have something that you know about like homesteading, making knives, teaching self-defense, teaching tactics, canning, knitting, or whatever, you don’t have to have a degree in it. You can build your credibility through your writing. As you speak more and more about what YOU did and what YOU saw, you gain authority in the subject in your readers’ eyes. Now, can you write about something that you’re really interested in but you don’t have a background in? You sure can. It’s just a bit more work. Your credibility comes from people trusting what you say is true. You also get people to trust what you say when you build credibility. If you don’t have built-in credibility such as being a former cop or SF guy (providing you’re blogging about a related topic), then you can build it by writing things people can verify on their own and know that what you wrote is true. For me, my goal was to stage myself to be able to sell books. It’s just a happy bonus that my blog not only makes enough money to pay for itself, it pays enough that I can easily live off it. For you, you have to decide what you’re trying to accomplish. What is your end goal? What are your intermediate goals? What are things that you could do that a blog could help you with? For most of you, the blog will probably be and additional income. As such, you’ll need to research monetization, marketing, call-to-action, and several other topics as you go. Don’t worry, I’ll be covering all those and more in future articles. With a blog, you can bring in business so you can sell them what you have – or you can sell it right from the website. You can have an online store with plugins like woocommerce and tie it to Etsy, Amazon, or several other places too. You just have to know your audience and what they want to buy. There are plenty of ways to sell them things if you start off with a WordPress blog/website. For some of you, you already have a business, and maybe even a website, but you want more people to hear about what you can do for them and want to establish yourself as an expert in your field. For that, monetization may be a part of your goals, but it might not be the driving factor. You need to write differently than someone trying to make money from their blog. You also need to find a niche that includes people wanting to buy stuff. A blog about movies like my friend Tim Nasson has is a perfect stage for selling DVDs and books about actors, etc. A blog about Low Dimensional Topology; not so much. For others, you might just want a creative outlet. That’s ok too. Just remember; if you want people to read what you’re writing (otherwise why are you writing online at all), then you need to find something that both you and several others are interested in. Your niche should support whatever your goal is. This kind of goes under the scope heading, but not completely. If you write a blog about travel locations, you’ll be competing with a LOT of other people who write about travel locations. BUT, a LOT of people also look online for travel locations. If your scope is too wide, then you’re competing with every other travel site online. If you started the first blog about only travel locations that have been in movies, however, you’ve just created yourself a very good niche. Not only that but if you hooked up with travel agencies, you could probably make some pretty good referral money. It comes down to this; if you swim in a tiny pond, you could absolutely OWN the search traffic and the buyers who are interested in that topic – but you won’t have much to choose from. If you swim in a gigantic pond, you have a lot of people out there looking, but there are a LOT of much bigger fish that you have to fight along the way to get up there in the rankings. People go to the internet to look for and read websites because they have a need that they think that website they clicked on can fill. If you can’t convince them that you can fill that need, then they won’t click on it to read. If you can’t convince them that you’ve fulfilled their need, then they won’t come back again and they won’t share your site with their friends. You need to look at things from their point of view. Writing a blog about knots is one thing. Writing a blog about how to tie knots is entirely another. In some cases, you’ll find that you want to do something that a lot of people have done. My blog is a perfect example of that. I’m certainly not the first prepper, survival, or preppper/survival site out there by far. There are LOTS of them. That’s ok. You can still develop your own niche eventually by building a brand. Those people who recognize your brand and/or relate to the message or symbolism of your brand will be more likely to follow you. What I’ve done though is tie in my credibility with what I can do differently by creating a website that draws on my experiences from working in combat zones and for embassies, living in jungles, deserts, and other nasty places. I may write about EXACTLY THE SAME THING as someone else, but for some people, the fact that I’m a veteran will click for them. They want to read it from someone different. The fact that I have more information due to my experience is an absolute bonus, and it definitely helps, but a solid brand will help even if what’s behind the brand doesn’t give you more insight. I have a friend who has a very successful prepper blog that searches the internet for prepper and survival posts that are of interest and he posts links to those articles along with a short description of what makes the article interesting and why you should read it. He decided he wanted to branch out and actually do his own writing. Partly because he wanted an outlet for his creativity but a big part of it is because short posts don’t do all that well in search engine rankings. He decided to start a blog about prepping and survival but didn’t know what to write about. Half his job is done with deciding because he’d already gone through everything I’ve mentioned here in this post. The problem was that he need a way to be different. I asked him what makes him different than everyone else who writes blogs – or at least – what direction could his writing come from. He is a military vet but he didn’t have the kind of experience that he thought would lend a lot of credence to his blog (I thought differently but it’s his blog). I then gave him some examples of what other bloggers have been doing. For example, Matty at SHTF Dad writes his blog from the standpoint of being a dad and being responsible for the well-being of his family, and trying to balance prepping and work with being a father. It’s not just a logo and a domain name – he writes his articles that way. He’ll have the same generic readership that generic prepper sites will have but he’ll also gain a loyal following of people who are dads or who relate with the idea of someone writing articles from that viewpoint. Survival Mom writes her articles from the standpoint of being a mom and taking care of her family. That matches her domain name and title well. Daisy at The Organic Prepper writes about wellness, stocking whole foods, and independence from Big Food and Big Pharma. It also matches her domain name and title. Jane with Mom With a Prep writes about bringing family together to become self-reliant. She uses what she learns from the site to teach her children and writes about that as well. Her posts come from doing things in a real family situation. That name and URL supports that as well. The point to take home here is you need a domain name (the whatever.com) and a title (that hopefully matches the domain) that will give someone a message about what your site does and why your site is different than all the rest. Your posts should support that as well. Don’t just go out there and get a domain name like CombatVeteranPrepper.com and then not write things from your experience as a combat vet. That’s like walking into a store called Partco Truck Parts and finding it sells Corvette parts. Now this could easily be its own post but I’ll go over it here because without a domain name, you can’t really get very far. If you already have a domain name in mind, here is a domain name checker that you can come to occasionally to see if a domain name is available. Just type in your choice and if you see the green, “Available, click here to register!” then click that green sentence and see if the version of that name is available that you want (it takes several seconds to enter secure mode so be patient). MAKE SURE YOU GET A .COM! When I chose GraywolfSurvival.com as my domain name, I was telling the world that my site was about survival and not just prepping. I could have chosen CombatVeteranPrepper.com and there’d be no doubt as to what my focus was, but remember; my goal with this site was to establish a brand and some credibility to support future books. My brand, and everything that ties it together is Graywolf. I started my site off a tiny bit slower because at the beginning, if someone searched for ‘graywolf survival’ on google, my site was waaaaaay behind conservation sites like this one. My brand wasn’t established yet. If I were just out for cash, I would have probably chosen something different but if I were to write a book under the name Graywolf, a lot of people in the prepper and survival community would instantly recognize the name (not as many yet as I’d like, but I’m still growing). So what I’m trying to say is that you don’t have to have an idiotic keyword-stuffed name like homesteadingprepperbugoutbagsurvivalskills.com. I’ll be mentioning bluehost.com a lot in this series because it’s hard to find an inexpensive web host that has good service for beginners. I started off with SEVERAL other less expensive hosts over the years, and at one point had so many blogs that I became a reseller and started my own web hosting business. Unfortunately, I didn’t start with looking for a quality host that was also cheap (I didn’t actually know what I needed to know about a host to know if they’re quality back then). I’m saving you the trouble here so you don’t go to the others. I use WP Engine because, well, they’re the best I’ve found for the size of site I have and the expectations I have with performance for what I’m paying. Much faster than most, top-notch service, daily backups, etc and a bit more but if you’re just starting off with blogging, go with bluehost first until you start getting traffic because you can get hosting there for as low as $5 per month and your domain name is free for the first year, saving you an additional $15. WPEngine is quite a bit more expensive than that, but to have a fast site that can handle a lot of traffic and responsive support, you’ll have to pay more. Pertain to the top keywords in your genre. Think of the top 5 or so things that people would search for if they’d want to read your blog and try to put at least one of those in your domain name. 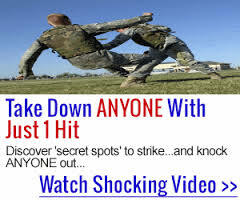 Be as short as possible, and hopefully catchy so people can easily remember it ( TheLittleWebsiteFromTulsaWhereYouLearnAllYourPrepperStuff.com is a bit much. XTBLMonkey5a5PreppersHome.com is out there. Use your brand in your blog’s message, theme, title, and URL as much as possible. BlueDogPrepping.com might be available, and you might like your old hunting dog blue, but unless you’re going to use your dog blue as your logo and occasionally mentioned in your articles, it’s not gonna work. This is a good example though of what really could work if you don’t really know what to do because eventually, people will follow you and recognize your brand if your writing strikes a chord with them. Find something that is available that you can work around if you can’t find something available for exactly what you want. Be a .com if at all possible. You can build a brand around a REALLY good find that’s not a .com but you’ll have quite a few people who will type in .com and send your traffic to the guy who has it. Have your uniqueness in it. If you’re trying to tie two related ideas together as what sets you apart, try to put them in the name. PrepperCamping.com and CampingPrepper.com are available right now. Avoid hyphenated names, and especially underlined space names if you can. People will usually forget them and you’ll send your traffic to someone else. Not use a copyrighted name in your domain name. 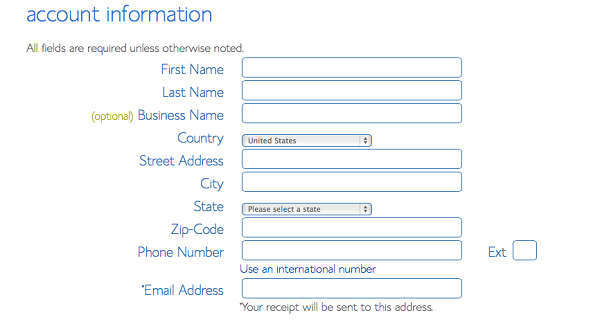 Not use a limiting name like BestPrepper2014.com. In fact, don’t use numbers at all if you can get away with it unless you’re using it as branding like Sean Ogle did with Location 180 (BTW, if you notice, that link now goes to seanogle.com because he’s building himself as a brand now and not just the idea of working from anywhere). The first thing you need to do is do some research. I know this post is research but there’s just no way to write everything you need to know into this post – or even into an entire blog. You’re gonna have to augment your learning with some good resources. Why research now? Because if you don’t have a basic understanding of how blogging works, what target audiences are, what affiliate marketing is, and so on, you won’t really have a good grasp on how to answer the questions in the list that I talk about below. If you’d rather just go ahead and start, then go ahead and jump to the list. Now technically, you don’t REALLY need to go into all this I’m telling you about. You can earn a respectable income (eventually) with any blog that you’re diligent with writing and spend time on SEO and cultivating a following. Traffic and newsletter subscribers are the key to basic money-earning online. I have a newsletter, btw, if you’re interested in receiving it (just don’t forget to check your email inbox or junk folder for the confirmation email) I no longer have a confirmation email because WAY too many people weren’t looking for it. Newsletters send out updates to people who know your brand. They are your peeps. You have to take care of them and provide some value. With enough traffic, you can sign up with sites that will give you banner codes to put around your site. I currently use Media.net but I used to use Adsense but there are MANY others out there that can pay you no matter what youre blog is about and you just put the code in once and let the money trickle in. Just be careful with Adsense. They ban people without warning and without explanation and you’re banned from all websites you ever make – forever. There are better and more profitable ways to make money online though, but that’s a whole other topic. You don’t need to know a lot about making money through affiliate marketing etc just to get started but you need to know a little bit about the basics so you don’t inadvertently set yourself up with a great site that doesn’t have a great market. My friend’s movie review site is perfect for affiliate marketing because a lot of people who read reviews and news about movies are interested in buying DVDs and Blu-Rays of those movies and books/memorabilia pertaining to them and the actors in them. Companies sometimes use the internet to expand their business and get the word out. One of the most effective ways is to set up an affiliate program where people can get referral fees. A lot of companies do this so it’s pretty easy. You already have to use certain things like hosting etc, so you might as well get a kickback if someone reads about it and goes to sign up. For example, I host with WP Engine. Why? Because I outgrew most hosts and had to be sure that my site could handle if many thousands of visitors came at the same time, and I wanted to be able to do some things that other hosts can’t (I have a sandbox with them, for one. It allows me to copy my entire site in a few minutes with just a click so I can play around with formatting or anything else and then make that sandbox live with another click when I get it right). 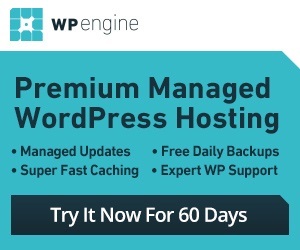 After I signed up with WP Engine, I looked to see if they had an affiliate program. They do. It works especially well when there’s a sale going on or something like this $200 referral – YES, YOU READ THAT RIGHT! If you sign up with the program and explain to someone how good your host is and they decide to go with them then you get $200 (at the time of this writing). It’s not normally that high. Write good content, find companies that have an affiliate program that you’d be talking about anyway, and then put that in the link instead of just your plain link. That’s it! A website about getting a private investigator license in any state wouldn’t sell as many items directly (other than a few books that say the same thing as the blog), but there may be schools out there that help grant licenses that would pay for ad space or for leads. An autobiographical blog about your life may be cathartic and all but there’s probably not much money you’re gonna make from it without putting some kind of spin on it that you could find after knowing some of the market. Let’s say you’re single but trying to find someone, working a dead-end job, read a lot of books like The Tao of Dating: The Smart Woman’s Guide to Being Absolutely Irresistible and Get the Guy: Learn Secrets of the Male Mind to Find the Man You Want and the Love You Deserve . You’d have to work harder at this type of blogging because you’d have to have a consistent personality that connects with that audience, but if it’s done correctly, it could be a goldmine but you should know a few ways that you can monetize a blog to set yourself up for success. Here’s where the message, branding, etc comes into play for this. That image to the right (and all the images) take you to Amazon so you can see the book, its reviews, price, and buy it if you want to. It’s also tied to an affiliate tag that doesn’t change anything about what readers get when they click on it but if someone buys it, whoever owns that tag will get a small commission (like a buck or less in most cases). That book would not sell very well on my site (which is actually why I chose it and the Tao book as examples. My readers aren’t typically single females seriously looking to find a guy (some of you are though but you’re by far the minority here – LOVE YOU GALS!). It’s the wrong target audience. Conversely, writing about the Goal Zero 41022 Guide 10 Plus Solar Recharging Kit wouldn’t bring in much (any) money on that site but it works very well on my site because it’s something extremely useful to preppers and fits with a core message of my site: self-reliance. If one of the goals for your blog is to make money from it, you need to understand a little about how blogs make money before you figure out the niche of your site. But don’t get too hung up on it if you have a good idea for a site that you can get people to follow. You can adjust fire later. Here’s a great tip, and not just for learning this stuff: take notes. Write this stuff down on a piece of paper with a pen. There is some utility to having notes that you can go back to – and you may even use those notes for that. Studies have shown though that if you write things down, you retain them better. It brings in more parts of your brain during the process. You’ll learn it faster and better if you write down your notes. This may sound counterintuitive, but you should do a good chunk of your research offline. That you can hold in your hand. Why? Well for one thing, it’s a different kind of learning. With a book, you won’t skim as much. It kinda sticks in your brain more. You also put more into getting the book (time, driving to B&N, ordering it online and waiting for it like Christmas day) so a little more of your brain will be invested in it. You also have the book in your hand. The more of your brain that you bring into the process, the more you’ll soak it into your mellon. So which books should you consider? Why? ProBlogger is a VERY useful website. It’s been around for about a decade and I’ve gone to it MANY times to learn different things. This publication is 2012 so it’s fairly new. It’ll have some great information about social media and some very useful information about actually making a living online. Why? This book is great if you’re REALLY new to blogging. Unlike some books in the genre, this book is geared toward the beginning blogger. If you’ve been around a bit then you may find it’s too basic for you. It’s written in very concise sections that give you what actions to take. It’s been described as, “Simple, direct, and persuasive. It’s written by Mark W. Schaefer and Stanford Smith . Schaefer and Smith guide the reader through two scenarios – personal and business blogging and share some of their strategies for a successful foray into both categories. The writing is clear; the messages are delivered simply and supported by personal stories of trials and successes. I thoroughly enjoyed reading this book and have already put some of the advice into practice in my blog. Blogging is addictive – I can vouch for that. It can be immensely satisfying to put words onto a virtual page and even more satisfying to have others comment or *LIKE my posts. I was not really interested in reading the specific material aimed at the business blogger, however I was able to apply some of the knowledge shared here to my personal writings. Reading this book made me feel like I was taking part in a supportive “think tank.” And it did make me think and surely that is the best measure of any book. Why? Because you’re going to be making a website using WordPress and this is one of the best books out there for people who would be reading this blog post. If you’ve never used a content management system or any blog software before, it’s a bit daunting at first. Most of the books out there are references for people who already know a bit about how to use the software. This book assumes that you don’t. It’ll make your life a LOT easier. If you’re already an advanced WordPress user then this book will be a bit too basic for you. “WordPress Websites Step-by-Step” by Caimin Jones is the owner’s manual that should come with every website or blog developed by using WordPress. Caimin has extensive experience using WordPress, and he has encountered just about every question anybody could come up with. He has taken his knowledge, distilled the techno-speak down to plain English, and put together what could easily be called a “Do It Yourself” guide to building a website or blog. Just making that one simple accommodation would be a great help to most people, but Caimin went even further with his desire to make this easy. He has created a step-by-step set of instructions to help you build a website using WordPress, with its many helpful and included tools. His title says it all: “WordPress Websites Step-by-Step – The Complete Beginner’s Guide to Building a Website or Blog With WordPress”. It can’t get any clearer than that! When I was a child, certain toy kits came with instructions like this: “Insert Tab A into Slot B”, which sounds simple enough, until you actually start trying to find Tab A or Slot B. Caimin’s instructions are nothing like that. This book should really be on your bookshelf if you think you will ever even consider the possibility of developing your own website, online store, or blog. Even if you KNOW you NEVER intend to do any of those things, but are just curious about how they are done, you need this book. This is the cookbook containing the recipe for how to make a professional looking, inexpensive website. I heartily recommend it for anybody who knows how to turn on a computer and click a mouse. I suggest that you go to your local Barnes and Noble and sit down with these books if you have the chance. I know B&N has closed a bunch of their stores already, gone away from their comfy seating areas, can’t compete on price with Amazon, and will most likely stop having physical stores soon but you can still find some around to read in some places. You’ll probably want to buy the WordPress one though because you’ll need a good reference later on. There are TONS of websites out there that you can learn this stuff from – and some of them are great so you should absolutely be learning from them. Unfortunately, there is a lot of crap advice out there and a lot of websites that are designed to get you in the door and sign up for their lesson plan. Now some of those lessons are gold. Some of them are just a stack of posts like this one all put into an ebook – that you could have read on your own for free. Here are some great resources online to get you started. Affiliate Marketing in 7 Days: Build Your Own Passive Income Stream in a Week – this is a kindle download and not a website. It’s 56 pages and $2.99. Problogger – Branding your blog is difficult, or is it? Google Trends – This is an example of what kind of research you can do on search engine traffic to see how popular it is. I’ve plugged in ‘homesteading’, ‘off grid’, ‘prepper’, and ‘prepping’ just for an example. They don’t tell you how much traffic exactly but you can compare. In this instance, ‘off grid’ has a higher amount of traffic than the others. This is especially useful if you want to compare different versions of a word or phrase such as ‘bug out bag’ vs ‘bugout bag’. Well, that should get you started. You should know enough after those articles about how to start – or at least what else you want to research. The next thing you need to do is sit down and make yourself a list. You’ve decided on some level that you want to find a niche and make money online (or you wouldn’t have read the 7,000 words so far in this article). What do you want this blog to do for you? Make extra cash? Promote your ebooks? Establish yourself as the expert toothpick whittler in Biloxi, MS? What kinds of things are you really good at? Good enough that you could sit down and teach someone? What do you like to spend your time doing when you’re not working? What would you RATHER be spending your time doing? What did you always want to learn but never took the chance? What are you and what makes you different from other people writing in the same genre that you could build a brand around? 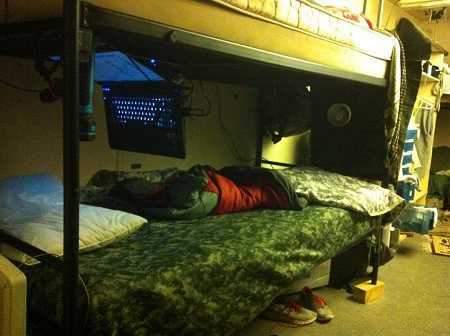 He chose ApartmentPrepper.com. It was a great choice in branding. Bernie writes about being a prepper when you don’t have a lot of room to work with. Perfect branding and name choice. Cat is into herbalism and prepping and wanted to combine the two to research and teach what to do if pharmacies ran out of supplies. Are you frugal or can talk about prepping inexpensively? FrugalPrepper.com is available !!! – I’m seriously surprised this one is available. If you want a good idea and name for a prepper website, this is perfect. Have you been prepping for a long time? VeteranPrepper.com would also work for you too. A patriot who’s a veteran? Are you an old guy? Do you live in the suburbs and want to talk about prepping without having a homestead? BTW, If you end up being the person who grabs one of these first, make a comment a the end of this post about what your plan is with your blog and include the link to it. This’ll not only tell me I have to update my list, it will give you some exposure right off the bat and help people get an idea about your blog – and how to choose their own domain name. If you’re not absolutely sure, let that list stew in your pretty little brain for a day or so and then go back to it with fresh eyes. You might also want to consider giving your list to someone to read while it stews and then get some feedback and ideas from them. What would people search for who were looking for that kind of information? Who would these people be? What need are they trying to fulfill by going to a blog? What could you promote on your blog that they might want to buy? Start listing ideas about what kind of blog would encompass all that. Are you a frugal person who likes to travel? Are you a III%er who is a survivalist? Are you a gardener who’s stuck in the middle of the city? Do you think you could find something to promote on your site that would bring in some cash with an audience that would read that? I know, and I’ll be writing a lot about that topic in the future but this is just an overview to get you started. More specifics will come. For a start though, if you can find related items on amazon or ebay, it’ll work. There are also ways to make money without that but that’s an example of a simpler way. Start thinking about different words that people would search for that would pertain to your niche. Here’s where you actually start getting online. If you’ve already checked out some of the example domain names I’ve mentioned above, you’ve seen just how easy it is to buy a domain name. There are only a couple steps but I’ll show you here. An additional great thing about getting the domain name from this site is that if you get hosting with them, your domain name is free for the first year if you stay with them for a year (otherwise it’s $14.99 if you want to leave early for whatever reason). They also have a money-back guarantee with their hosting so if you outgrow them or ever decide to leave, you’re not locked into a contract with them and you get pro-rated for the time you have left. It’s HIGHLY UNLIKELY that you’d outgrow them in the first few years. You can even move up with them to get your own dedicated server to just your personal blog if you get that big. Now you can install WordPress – and it’s super easy now. If you get stuck, read How to install WordPress onto your new hosted server. Here’s a video to walk you through it. And if you did that – congratulations, you now have a website that you can start building. Sure, it’s an empty house right now but you can decorate it any way you want. There are literally thousands of websites out there that can show you how to set up your website the way you want to but it’s a lot easier if you get something like the book I mentioned above: WordPress To Go: How To Build A WordPress Website On Your Own Domain, From Scratch, Even If You Are A Complete Beginner . Now keep this in mind – when you register a domain name on a web host (in this case bluehost or wpengine), the internet has to catch up. That might take an hour and it might take a few days. They’re a bit faster these days. 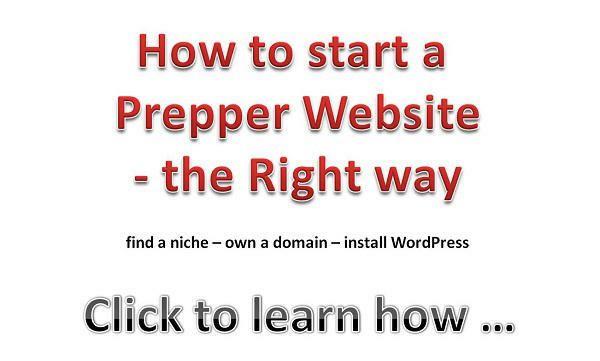 What that means is that if you bought frugalprepper.com and type that into your browser, it isn’t going to go you your website immediately but it will once the Domain Name Servers catch up. You don’t need to know how all that works, just know it delays things. Now here’s something else that you need to consider. If you have a name that’s commonly misspelled or has different ways to spell it, you should consider buying those names too. 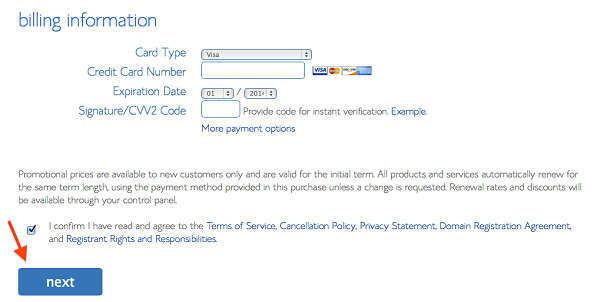 You can buy a domain name without having to have a separate website for it. For example, my website is GraywolfSurvival.com but a lot of people spell gray as grey. I didn’t want to lose the traffic for people spelling it grey – and I DEFINITELY didn’t want someone else buying the name and starting their own blog with it, so I went ahead and got GreywolfSurvival.com when I got GraywolfSurvival.com and I just point GreywolfSurvival.com to the site you’re reading. It’s easy to do. If you haven’t quite decided on what your domain name is gonna be, just come back later to this article or to the bottom of any page of my blog and use the domain name search thingy whenever you come up with a good name. In the meantime, go back to the So where should you start right now? section to find the websites and books to teach you what you need to know. Get a copy of WordPress To Go: How To Build A WordPress Website On Your Own Domain, From Scratch, Even If You Are A Complete Beginner and practice with a free wordpress blog from wordpress.com. You WON’T be able to really make nearly as much money using their free account because they limit you on a lot of key things but you’ll be able to get used to the dashboard that the book mentions. Your new WordPress website will have the default theme on it. You’ll eventually want to change that, I’m sure, but you don’t need to worry about that yet. If you’re curious, I’m using the eleven40 Theme. We’ll go into themes in a future post but there’s a LOT of info on the web already about it. So, this has been an awfully long post (unless you skipped ahead to the Make a list section) but it should give you a pretty decent idea about how to get started with the first steps of creating a blog to make money online, which are to find a niche and to get a domain name with hosting, and even your own wordpress blog to get things started. This was just an overview of where to start. As I said before, starting a blog is a LOT of work. Hopefully this page has helped cut down on that work for you. If you need help coming up with a brand or a domain name idea, post a comment below about you and your situation or thoughts and we all may be able to help as a group. Please share this page with any group that you think might be interested in starting a blog or making money online. Sharing will help them learn and it will help this page rank higher in the search engines so more people can find it. But that’s a lesson for another day. Here’s a pic below for all my Pinterest peeps. Follow me on my Pinterest Page. Please share this post on Pinterest on any board that pertains to preppers, survival, homesteading, living off-grid, starting a website, working from home, making money online, or anywhere else that you think people would be interested. If the Grid goes down, there won’t be much opportunity for people to log on a blog an read the info. I imagine the first idea is to reach people BEFORE the grid goes down. I just started reading these type of blogs due to civil & international unrest. I’m a peacenik from the ’60’s, never owned or fired a weapon. but in the past year I’ve purchased 4 rifles & a handgun. A slide-in truck camper, stocked non-perishable provisions & accumulated a small amount of precious metals such as Silver, Titanium & Gold. Still not sure how well these precious metals will fair in trading, except the titanium which can be used in knife-making as well as tipping hollow-point rounds to penetrate ANY target. I have also found a few items which I believe everybody should own. I truly believe this one item would provide the best survival tool of any other. The lead balls can be Buckshot or even lead fishing sinkers (split shot). Why waste a high caliber round on a bunny rabbit? I think the whole point of any prepping is to do things before the grid goes down. This is a great post. It might just be the spark that inspires me to try the blog thing! BTW, I love your detailed, down to earth writing style. I didn’t see any additional posts on this subject. Did you continue them? Best blog I have ever read by the way!! I had actually started another blog with the sole purpose to teach this stuff but no way I can do that, keep up this site, and write my novel.